HVAC Problems and Settling for “It’s Always Been That Way” Doesn’t Have to Happen. Don’t get discouraged, give up or decide to just live with it. Here are some issues we frequently see. First check your circuit breakers and try resetting the circuit board. Check to make sure the batteries in your thermostat are still good. Check your filter, if it’s really dirty it can shut the system down. If none of this resolves the issue, call us. Dirty flame sensor: the flame sensor is located between the burners and the opening of the heat exchanger. It senses the flames. Over time carbon will build up, reducing the sensitivity of the sensor. It can be cleaned, seldom does it need to be replaced. Ignitor cracked or broken: This will need to be replaced. As the ignitor gets older and has more wear and tear, the electrical resistance becomes higher making it harder for electricity to pass through. With age it becomes white and chalky looking. Drain line plugged: this can be removed and flushed, or worst case scenario, may need to be replaced. High efficiency furnaces produce water, over time the drain line can grow algae and plug the line causing water to back up into the furnace. Dirty air filter: This should be checked monthly and changed as needed. The air filter traps particles and prevents them from getting into your motor and furnace parts. All of these problems and others can be avoided with an annual clean and check. Cleaning your HVAC equipment helps avoid problems leading to breakdowns and may reduce energy costs. Not only do all manufacturers recommend annual cleanings, but are now asking for service records when certain warranty claims are made. How Often Should Your HVAC Equipment Be Cleaned? 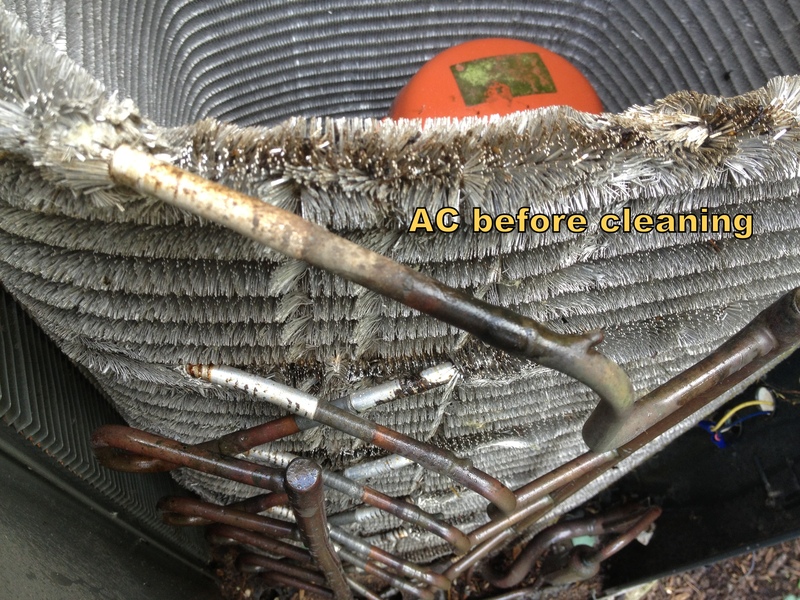 You should have your HVAC equipment cleaned once each season to ensure your equipment is operating at peak efficiency. Typically furnaces and boilers are serviced each fall before the heating season; Humidifiers are cleaned at the same time as the furnace; Air conditioners each spring before cooling season. Removing build up, debris, inspecting and calibrating your equipment will help avoid problems and extend system life. Yes it’s one more chore to be done, but filter maintenance helps keeps your system efficient and can prolong system life. Your filter should be checked once a month. If you see dirty build up, and you have a disposable filter, replace it. It’s a good idea to keep 2 or 3 on hand. Recommended method: Spray it with an all purpose cleaner, let sit for a minute or two, then rinse with high pressure water. Alternative (or its-wintertime-for-goodness-sake!) method: Vacuum with hose attachment – all vertical strokes, then horizontal strokes. If this is just one more thing you don’t have time for or something you don’t care to do, we can help you with that. Its a bit of a mystery – Are you receiving what you’re supposed to? And how can you tell? Your service technician should ask you if you have any problems, questions or concerns and be able to provide knowledgeable answers and solutions. Your equipment and comfort are important and the technician should give you the sense that they care about both. If you’re making the effort and investment to have your system cleaned, good for you (and your equipment). You should get what you’re paying for and what your equipment needs. If your furnace has always been loud, it’s most likely due to improper design and installation. Furnaces should be designed according to the air flow and heating load needed for the house. Unfortunately, many contractors determine size using a rule of thumb, or install the same size as the previous system, and don’t do the proper engineering to determine what size furnace, air conditioner and duct work is needed. If it’s a new problem, the blower motor could be going bad and may sound like a squealing bearing or it could be how the furnace is igniting. If you hear a BOOM when the furnace ignites then the furnace needs to be cleaned. Why Does My Furnace or Air Conditioner Whistle? Why Doesn’t My Humidifier Work? Many times people don’t think their humidifier works, when all the system needs is a proper cleaning. Flushing lines, cleaning and inspecting internal parts is required annually. The humidifier pad should be changed once a year or more depending on the hardness of the water. If your humidifier is not level, it’s not working properly (this would be addressed separate from your cleaning). Whistling or banging noises, hot and cold spots, a filter that is hard to remove, excessive part replacement and high utility bills are all symptoms of insufficient air flow. Insufficient air flow can be caused by an over-sized system, undersized/restricted duct work or a dirty system. Most of the time your existing duct work can be modified without cutting into drywall. 1. Change your filter regularly. 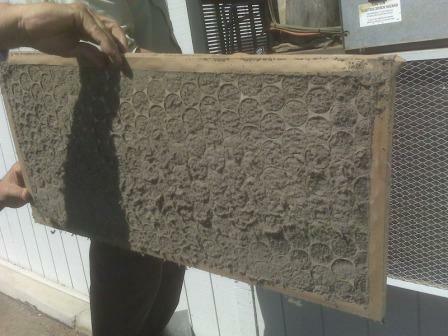 A dirty filter can starve a furnace or air conditioner for air. 2. Make sure all supply and return registers are not blocked. 3. Adjust air flow dampers in supply ducts (we can show you how). This will reduce air flow in places that get too much, forcing air flow elsewhere. For example a dining room that is not frequently used may be receiving too much air flow. 4. If you have high/low placed returns grills, adjust for the seasons. In the summer open high returns and close low returns. In the winter open low returns and close high returns. 5. 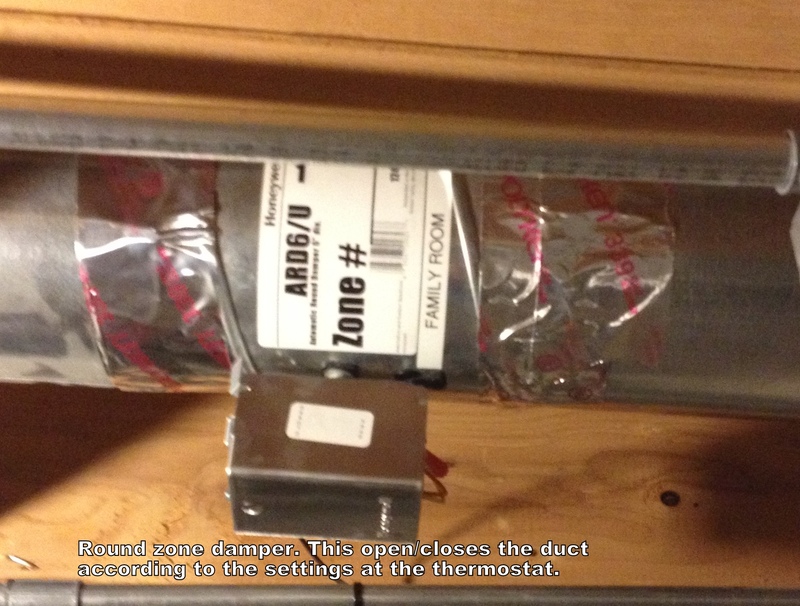 Seal your ducts using metal tape or mastic adhesive or have professionally done. Seal every joint and fitting to prevent air from escaping or entering your duct system. 6. Have your furnace and air conditioner professionally cleaned and inspected annually. Properly designed, installed and maintained equipment and duct systems can achieve uniform temperatures and air flow with minimal noise. Learn more about duct sealing from Energy Star here. A system with good air flow will not have to work as hard, should last longer and will save you money and your sanity. Should HVAC Vents Be Closed in Rooms That Aren’t Used? Have your furnace cleaned annually. 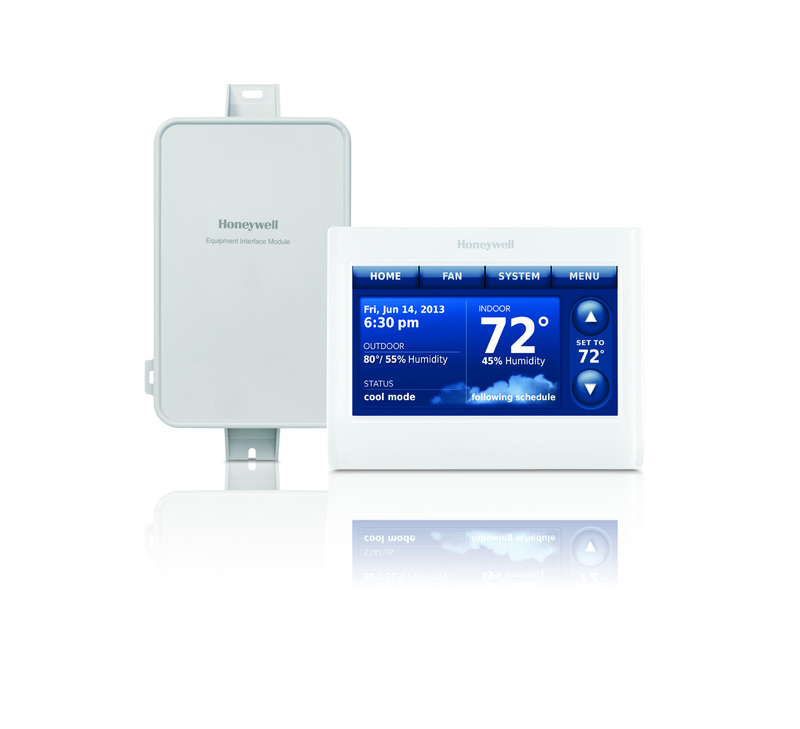 Install a programmable thermostat and use the program. Install a humidifier. Humidity will make you feel more comfortable at lower temperatures. 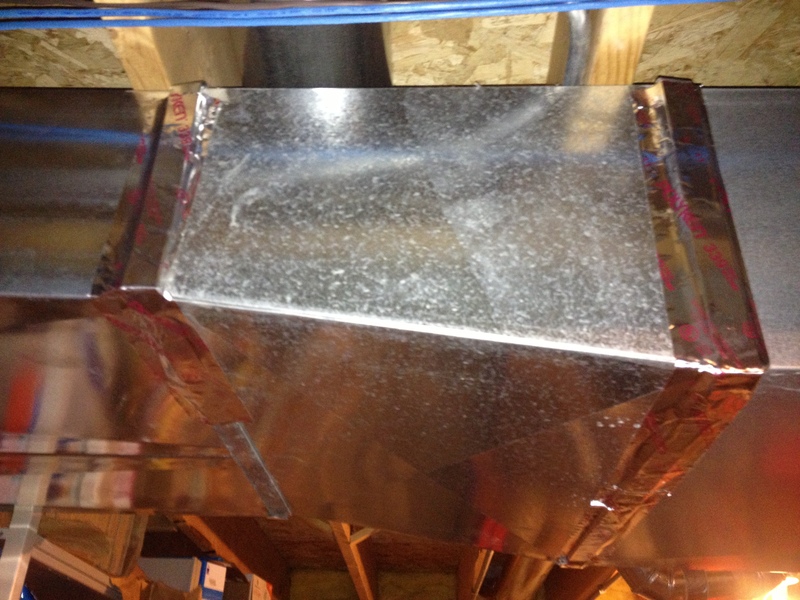 Insulate or add more insulation to ducts if they go through an attic or crawl space. Your indoor climate should be comfortable. It should be easy to maintain a desired, even temperature throughout with no bothersome noises. If not, there’s something going on that can be addressed. If you have an indoor comfort questions or concerns, talk to your service technician. If they don’t take the time or cannot fix it, find someone who can. It’s rare that there is not a workable solution to your problem. Many people, even contractors, believe a bigger heating or air conditioning system gives more power but instead it creates many problems. An over-sized system will run frequently for shorter intervals causing only partial heating and cooling. It is more prone to breakdowns, noise and higher utility bills. It will cost more upfront and in the long run to maintain. An over-sized furnace or boiler can lead to unsafe conditions such as carbon monoxide leakage. An over-sized air conditioner will cool quickly but will not pull out the humidity. 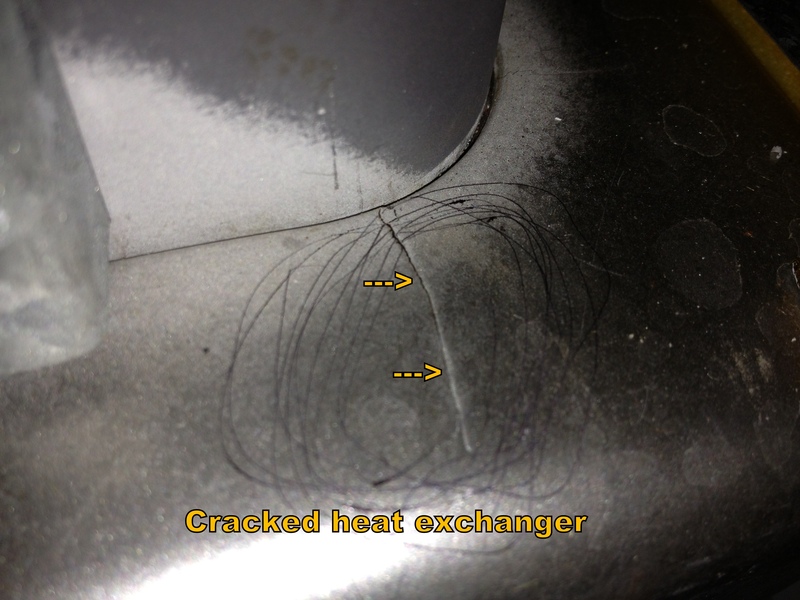 A furnace leaking water may be due to a plugged drain line. The drain line can be removed and flushed or may need to be replaced. High efficiency furnaces produce water, over time the drain line can grow algae and plug the line causing water to back up into the furnace. 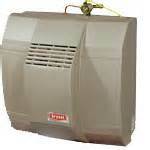 Humidifiers can also be the cause of leaking water. As humidifier pads age, pieces of the pad can break off and go into the drain line and plug it. The humidifier also needs annual maintenance at the same time as the furnace. Imagine walking in the door and flipping one light switch for your entire house; that’s how most heating and cooling systems operate. 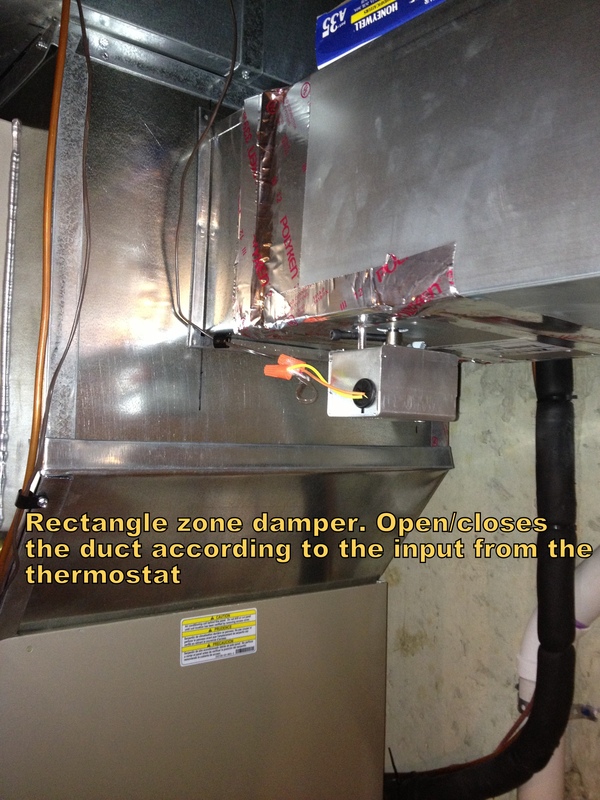 Rectangle zone damper: opens/closes the duct according to input from the thermostat. Zoning is creating specific, custom climate areas within a home or facility. You can have a whole floor, just one room, or a combination of rooms as one zone. 2) Electro-mechanical dampers and thermostats which direct airflow as you wish. With method two for example, if you have a two story house and want a zone on each floor, a thermostat is required on each floor, ductwork is divided between the two floors, and electro-mechanical dampers are installed in the supply ducts. Many variables factor into the time and cost. The big benefits of zoning include precise comfort control and less utility usage (and less guilt for turning up the thermostat). You can crank up the heat in one zone without affecting anywhere else. Generally smaller equipment is required. Internet access: Get alerts when your system malfunctions or is not within your specified settings; reminders (like above). Access and adjust your thermostat from anywhere on your smart phone. Remote sensor: This accessory averages temperature readings in up to four locations and adjusts run time to create more even temperature. It can also remotely sense temperature anywhere in the house and adjust baseline temperature to match. The design phase includes performing a heat loss/heat gain calculation. This calculation includes the volume of area being conditioned; the orientation of each wall; sizes of each window and door; insulation in wall, ceiling, and floors. If there is a 2nd floor or attic. The type of attic: vented, unvented, encapsulated or several other types. Floor type: above a crawl space that is open, crawl space that is closed, basement below grade. Where the home is located is very important too; Chicago’s winter is different than Houston’s. The existing duct system needs to be measured and calculated for amount of air flow it can move according to manufacturer specification. Supply and return grills counted with sizes and location. Your comfort concerns need to be addressed: temperature, humidity, dehumidify, noise, allergies, dust, safety. Location of equipment inside and outside. The temperature you keep your home is also critical. Systems when designed properly will achieve your temperature on designed degree days (these are the coldest or warmest days based on an average over a 10 year period). It takes me about an 90 minutes to get all the above information, and I still haven’t given a price yet. Contractors who are in and out, quickly and write their proposal on their business card. Contractors who say “I done lots of this model house it needs to be this size”. Businesses who have been around for a while but cannot give you referral and pictures of their recent work. good chance they will be chewing on the wiring and leaving deposits. 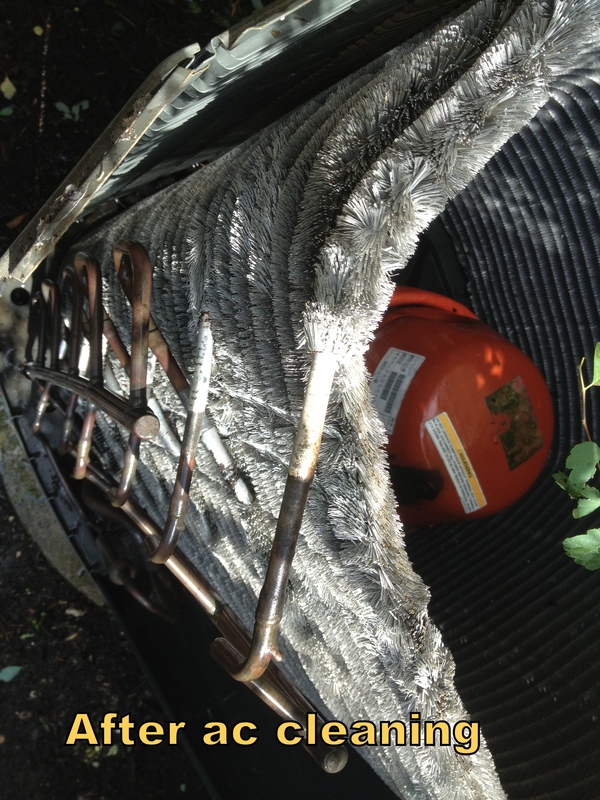 Covers may trap moisture inside them which would cause the metal to rust and deteriorate. 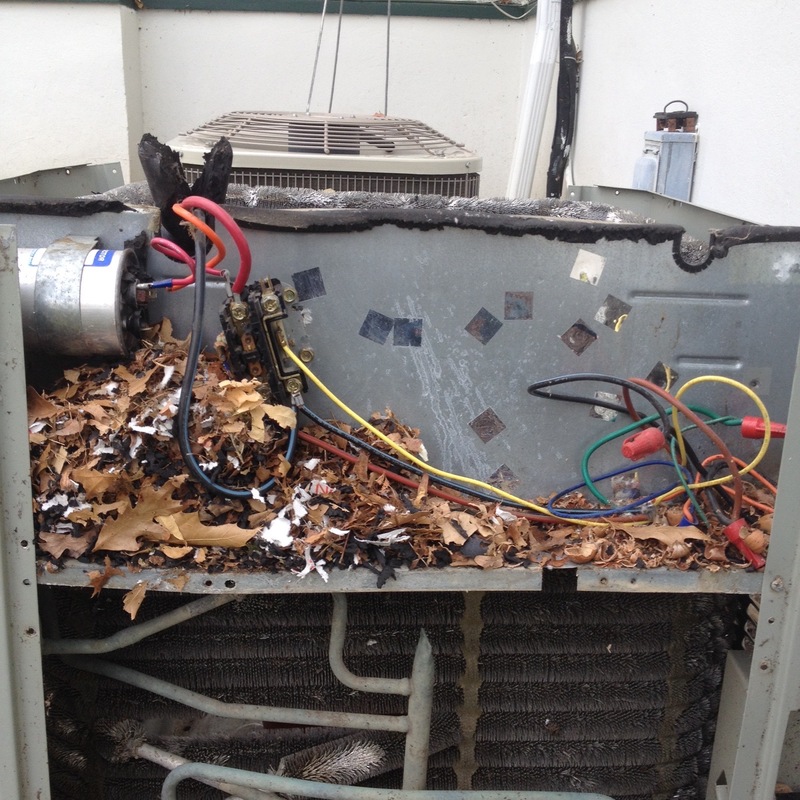 If you forget to take it off the air conditioner, the a/c will overheat and burn out. If you are worried about the leaves falling in – don’t. When your a/c is cleaned the necessary panels are removed in order to clean any debris inside. Without the cover the drain holes at the bottom of the a/c won’t get clogged. Does It Make Sense To Turn Down/Up The Thermostat When You’re Not Home? The answer is both yes and no. Most of the year I would recommend adjusting the thermostat except for the days that are extremely hot or cold (ie +95 and -6). On these days I would recommend keeping one temperature in the home because your furnace and air conditioner should be designed to deliver a certain temp at these extremes. If you are raising the temp up and down and it is 97 degrees outside the air conditioner does not have enough capacity to cool the home any further. It will only maintain the current temperature setting until the air outside cools down. To gain more of both, click here for tips on arming yourself with information on maintenance, buying a new system, HVAC services and more from This Old House.